Kevin Siembieda, President of Palladium Books, posted a public update to the Robotech RPG Tactics Kickstarter stating they will not be able to produce the Robotech RPG Tactics Wave Two rewards following the expiration of the Robotech license. 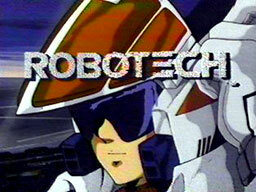 The campaign for the Robotech RPG Tactics game raised nearly $1.45 million in 2013 to produce a miniature wargame based on the version of the Robotech anime owned by Harmony Gold USA. The license, which was held by Palladium for thirty years, has expired and is not being renewed. As part of the loss of license, Palladium is liquidating all Robotech products, including their roleplaying game book line and all pdfs of the original game line’s material on DriveThruRPG. Siembieda writes about the many delays and the unseen costs Palladium encountered while attempting to fulfill the project: recreating 3d sculpts that were incompatible with the manufacturer’s production process and increased shipping costs. In January of 2014, the company decided to split the numerous sculpts and rewards into two waves of project. After having delivered the planned first wave, “the Kickstarter money was gone.” Palladium Books estimated that producing the second wave of rewards would have cost them up to $625,000. The company is offering to substitute already-produced product in place of the second wave rewards they did not create, but say backers would have to pay for shipping. “We estimate shipping to all 5,000+ backers around the world will cost $120,000-$160,000; and, at this point, Palladium Books just does not have the resources to cover that expense.” This exchange is offered only while supplies last or March 20, 2018, whichever comes sooner. What the article fails to mention is that Palladium Books over-produced the wave one rewards, which included the “core” game, hoping to profit from third party sales using funds that were supposed to go towards backer rewards. This is a violation of the terms they agreed to in their Kickstarter campaign, which forbid project creators from using Kickstarter funds for anything other than backer rewards. That doesn’t sound right. I highly doubt that Kickstarter’s terms limit the use of funds to satisfying backer rewards. In fact, backer rewards may be de rigueur but I don’t think they’re actually required at all. Please provide a citation for your assertion. “Project Creators agree to make a good faith attempt to fulfill each reward by its Estimated Delivery Date. So we have three obligations of creators to backers: a ‘good faith’s attempt to fulfil by the time estimated, fulfilment of *all* rewards and refund of outstanding rewards if fulfilment is not possible. In this case, by spending money received from backers on retail stock, PB is in breach of the ‘good faith’ clause as well as the obligation to provide all promised rewards. In general, project creators are able to benefit from backers taking over the fixed costs of production but that doesn’t constitute carte blanche to the creator to do whatever they want with the funds. Although they may be in violation of the sections of the ToS you quoted, producing more product than the number of backers to sell via traditional means probably isn’t. My charitable reading of the situation has Palladium Books realizing the lack of funds means they would have to take the profit from retail sales to fulfill the Wave Two rewards; with poor sales, there was not enough profit to create those rewards. That is exactly the point. Using funds that were provided by backers who were promised a set of rewards to create products unrelated to those rewards is clearly a bad faith action by the project creator. Otherwise anyone could start a Kickstarter, fulfil a fraction of the promised rewards, use the rest of the funds for unrelated things and subsequently claim that they do not have enough funds to fulfil the rest. That is leaving aside the dodgy math provided by Palladium and the fact that they were aware of this issue years ago but only admitted as much to their backers when external factors (their license expired) forced them to. Up until a few weeks ago the company “line” was that things are getting “hotter and hotter” for Robotech, they have everything lined up and backers should not worry. That is another bad faith action by the creator. If they are as honest as you “charitably” claim they are, they should release a full accounting of the funds, which they still have not done. That is another obligation of theirs under the ToS, by the way. My comment was meant to address an understanding of the general terms of service. I still see don’t see anything that blanket “forbid[s] project creators from using Kickstarter funds for anything other than backer rewards.” But I believe I understand the rest of your concern. I will not opine on how Palladium handled the project. If you read the Kickstarter ToS, the “contract” entered into between creator and backers is support for rewards. As I said before, at the very least using the funds for things other than backer rewards is at the very least “bad faith” since that means they are prioritizing other things over backer rewards. If they had other funds then it is clearly fine to add their order to the backer order and benefit from lower marginal costs, but given they knew that these funds were all they had, they had no right in good faith to gamble funds which could have gone towards wave 2 rewards for backers.or.at the very least some refunds on the possibility that their game would sell massively.